If your honey-do list is starting to grow with one project after the next, you may want to hire a handyman. But it can be difficult to narrow down your selection with so many options in Boulder and Northern Colorado. The fact is that not every handyman is the same. That’s why it’s important to do a bit of homework ahead of time so that you can make the best decision. 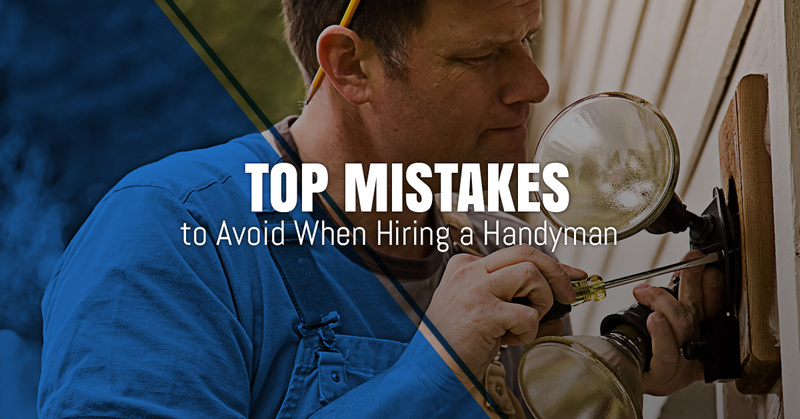 In this blog post, we’ll explain three mistakes to avoid when hiring a handyman. Failing to check credentials – You don’t want just anybody working on your home, do you? Every day, homeowners make the mistake of hiring a random person with a truck to tackle a list of projects. Though handymen don’t necessarily need to be licensed, they should boast plenty of experience. Matt of MC Home Services, for example, has been trusted for handyman home repair over the course of two decades. He has successfully handled everything from garage conversions and distressed properties to full bathroom remodels and carpentry work. It’s no secret what makes us the area’s Top Rated Local® Home Improvement Services. Not asking for referrals – This ties in a bit with the aforementioned point. The number one mistake homeowners make when hiring a repairman is a lack of trust. If you’ve never hired a handyman before, it’s a good idea to reach out to friends, family, and neighbors. We invite those trying to find a handyman to explore the rest of our testimonials. Is it time to finally get serious with home improvement? Whether you have a few small tasks or a major home renovation, Matt has been there and done that. When it comes to handyman home repair, we do things the right way. You can feel comfortable knowing that our fixer-upper experts conduct themselves with passion, honor, and good-natured enjoyment of a completed job. We take pride in our approach, methodology, and workflow planning being proven and effective. From the time our workstation is set up to the time the job is done, we will keep you looped in on progress. Don’t settle for handyman service that’s less than satisfactory. With Matt of MC Home Services, you’re getting someone who shares the same passion as you: having a beautiful home.